Eeeeeek how is it September?! I feel like I've blinked and missed August. Actually, scratch that - I won't be forgetting that heatwave in a hurry. 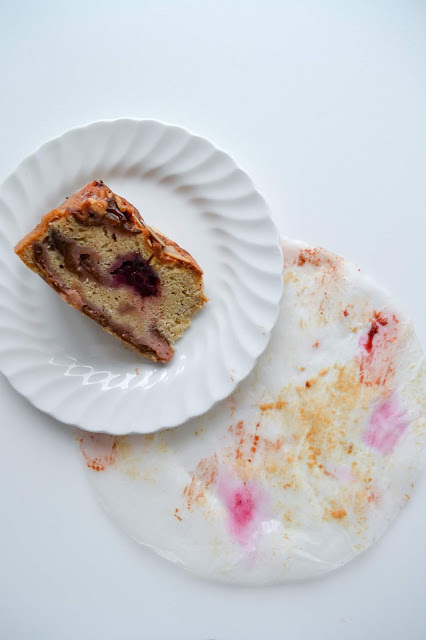 It was simultaneously wonderful and awful; it was sunny afternoons with windows wide open, and it was melting buttercream, wilting flowers and - I'm afraid to say - one collapsed cake. A summer of highs and lows one might say, albeit with high and higher temperatures. And for the record, I learnt my lesson from the collapsed cake (four words: too. much. lemon. curd.). It's been a while since I've shared a life update on here (I tend to stick to my annual recaps - last edition HERE, for anyone interested! ), but am pleased to say that my bijou (my new favourite word which means small, yet elegant and perfectly formed - natch) wedding cake venture has had a busy few months! Factor in birthdays, anniversaries and wedding tastings, and one way or another I've had a cake most weekends this summer. This makes me super, super happy, mad excited and unbelievably grateful to those trusting people who keep asking me to make cakes for them. It's so great! Thank you, thank you! Anyway, thank you for following along on this unconventional little journey. I've followed a number of amazing bloggers over the years, and one of the things I loved the most was watching their humble, unassuming little passion projects evolve into fully fledged careers. I'm definitely not there yet, but I hope you guys feel like that too. Rest assured that just because I'm not posting all that often, I'm still reading your comments, occasional kind emails and social posts, and feel so *hashtag blessed* (sorry, I still can't get on board with that). If you'd like to hear from my more often, you can follow me on Instagram, which I am a little more active on - apologies in advance for the wedding cake spam. 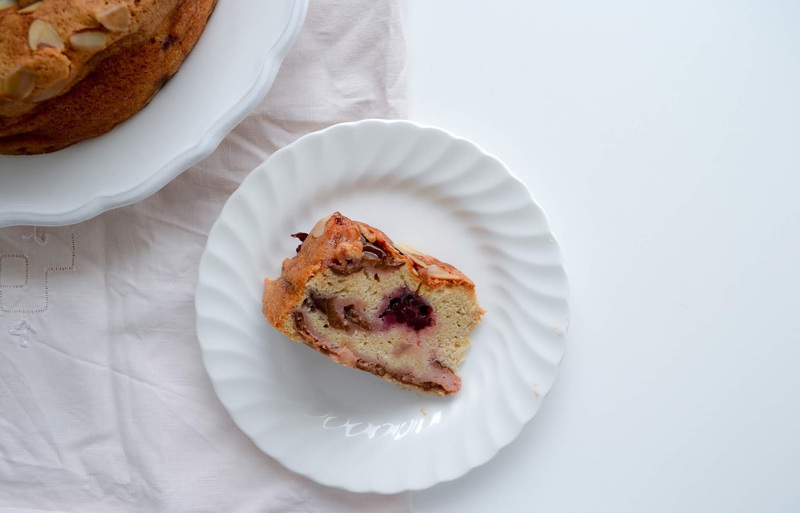 So - finally - to this here brown butter and roasted plum cake. 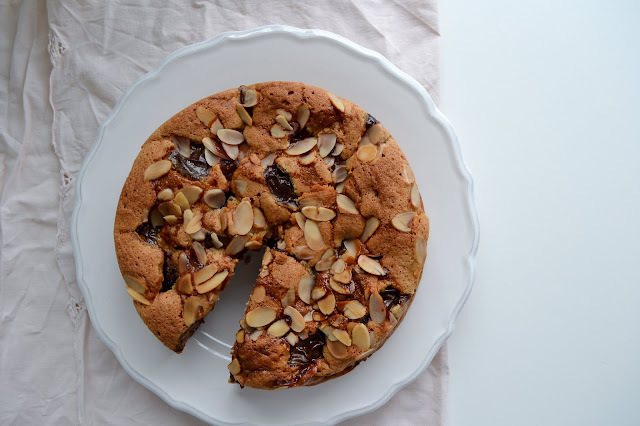 I baked this at the weekend, and it felt so good to be pottering around my kitchen again, not clock-watching, not multi-tasking, rather just pulling out everything that needed using in our fridge and working out a recipe. The plums, handpicked with my wonderful friend Jess and her sister Imogen in Iver, were already roasted, very simply in honey and earl grey. They needed eating, just like a sad looking punnet of blackberries, and a leftover dollop of salted caramel filling from a wedding cake. I also had six egg whites going spare, the remains of some batch curd making (raspberry, passionfruit and lemon, all for recent wedding cakes). This sponge uses just the whites and is light and airy, but also strong enough to hold up a whole lot of fruit. Pretty perfect, in my eyes anyway. Swap out the fruit for whatever you have to use up. I used half brown and half caster sugar, but use a full batch of either according to what you have in your cupboard. The cake mix is adapted from THIS recipe on the inspired NAMI NAMI, as recommended HERE by the one and only David Lebovitz. Heat the oven to 150°C / 130°C fan. Place the teabag in the boiling water to infuse. Cut the plums into quarters and remove the stones. Arrange them in an ovenproof dish, drizzle with the honey and pour over the hot tea, discarding the teabag. Roast in the centre of the oven for 25-35 minutes, covering with foil halfway through if the plums begin to catch. The plums are ready when they are softened and have intensified in colour. Set aside to cool. Once cool, drain away the liquid. Increase the oven temperature to 180°C / 160°C fan, and line an 8" round baking tin with greaseproof paper. Place the butter in a saucepan, and melt over a gentle heat. Turn the heat to medium-high, and allow the butter to bubble until the white solids on the surface have turned golden. Remove the pan from the heat, and allow to cool slightly. Place the egg whites in the bowl of a stand mixer with a tablespoon of the caster sugar. Whist until thick, airy and in soft peaks. In a separate bowl, whisk together the remaining sugar, flour, baking powder and salt. Add to the egg whites, and carefully fold to combine, working carefully so as not to knock too much of the air out. Spoon a little of the mixture into the tin, then top with a layer of roast plums and blackberries. Continue until all the cake mix and plums have been used. Swirl the surface of the cake with the salted caramel, scatter with the flaked almonds, then baking the the centre of the oven for 45-50 minutes, or until golden and a skewer comes out of the centre of the cake clean. I made one wedding cake this year for a friend's wedding and the layers shifted quite a lot due to...lemon curd. If it had collapsed completely I would have torn my hair out for sure! How did you recover yours?